Has Anushka Sharma decided to quit acting because of Virat Kohli? 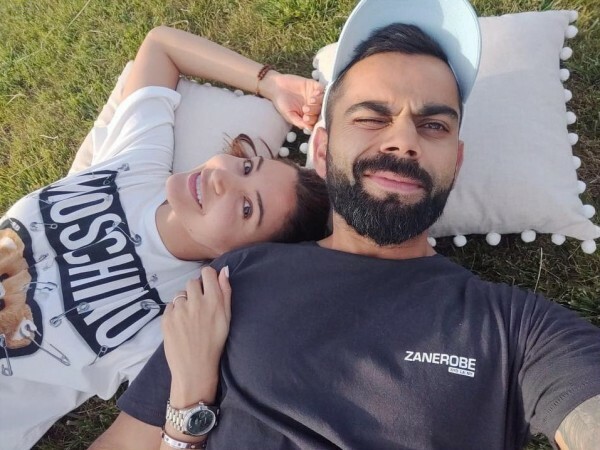 Her absence from films has now sparked rumours that Anushka Sharma has decided to quit acting and will continue to support Virat Kohli and his cricket career. Anushka Sharma was last seen on the silver screen in Zero alongside Shah Rukh Khan and Katrina Kaif but post Zero, she has reportedly not signed any Bollywood project. Nowadays can be seen accompanying her husband and Indian team captain Virat Kohli in the ongoing IPL 2019 season. Her absence from films has now sparked rumours that Anushka has decided to quit acting and will continue to support Virat and his cricket career. The industry grapevine suggested that Anushka will concentrate more on creating good content under her home production banner Clean Slate Films than acting in films. However, a source close to Anushka and her production house has rubbished the reports of Anushka quitting Bollywood anytime soon. The source further added that Anushka has currently dedicated her time to be there for Virat and root for him in the ICC World Cup 2019. This will be the first time Virat will be seen captaining the Indian cricket team in a 50-over World Cup tournament. Earlier, it was being reported that Anushka will be going to the stadium sans Virat to avoid unnecessary media attention and fan frenzy during the World Cup. "While Anushka will be travelling to England to be the perfect pillar of strength to Virat, she might not go to the stadium with him. In fact, she wants to go separately to watch the matches and cheer the loudest for Virat. Usually, when the wives of the cricketers travel on tours, they take the team bus. However, on match days, Anushka plans to hire her own car and bear all the costs of her visit to the stadium. Of course, she has a heartwarming reason behind this decision," a source was earlier quoted as saying by DNA. The couple, who tied the knot in December 2017, had celebrated their first wedding anniversary and New Year's Eve in Sydney and have become pillars of strength to each other.